Discussion in 'Streetwear and Denim' started by InHocSignio, Jul 20, 2013. Get them if you like them. I don’t particular care for them, but everything has a price. Candidly, I would rather get Raf Oswegos for the look. Thanks for the input. What I value in the Achilles is the versatility, and I don’t think these have it. I’ll likely wait for some b-ball low’s to go on sale. On a related note, this thread inspired me to give my first pair of Achilles a proper cleaning and conditioning. Clearly I hit a nerve. My comment was not meant to be condescending/malicious/snobbish. Based on your comment about “x” amount of hours to revive the shoe, my comment seems fair. I can appreciate those that actually find the process enjoyable or therapeutic. I’m on a salary, not hourly wage. I have no idea how much I earn an hour. Definitely not $1000/hr, but I also don’t work 40 hour weeks. However, I am a believer of focusing on earning more versus saving every dollar. Cheers. Cash aside, can’t we simply clean perfectly good shoes? Does everything, including $400 sneakers need to be sold or tossed because they get dirty? Ugh. You misunderstood. I simply said if you are spending 30 plus hours to revive a sneaker, it’s probably heaped to get new sneakers. I don’t know about you, but spending that much time makes little sense to me. To each their own. I never said throw out dirty shoes. This is my last comment on this. I’ve already wasted enough time debating this trivial topic with complete strangers. I’m about to buy my first pair of CP’s. Is anyone know if https://www.common-projectsshoes.com/ is a real website or its just another scum... thanks in advance! a dollar saved is the same as a dollar earned. yeah, man. That looks like it's from the shoes physically sitting in a box. It's nothing to stress too hard about. As mentioned above, a quick polish will have them looking perfect. All good, I realize now it was likely misunderstanding of actual time input. Personally, had it taken significantly over an hour (instead of under 30 minutes it took), I would not have done so. I do find it a bit enjoyable but any longer would not be worth it for me. As far as your sentiment, I can agree with it (situationally). I don't want to seem purely like a "save more" person. At one point I did find myself becoming purely "earn more" (not to say you are), left unchecked, my spending scaled equally with my income. Now my focus is on increasing the gap between my income and spending. There are times where we should maximize our earnings vs cutting our losses and vice versa. Anyways, I think we both understand each other better and I think others can appreciate this discussion as well. Lets just enjoy Common Projects! Found a pair of CPs selling locally, my friend thinks they may be a korean fake. Any input would be greatly appreciated. laces do not look right. Recently added Achilles mid in black and white. There are slight difference. 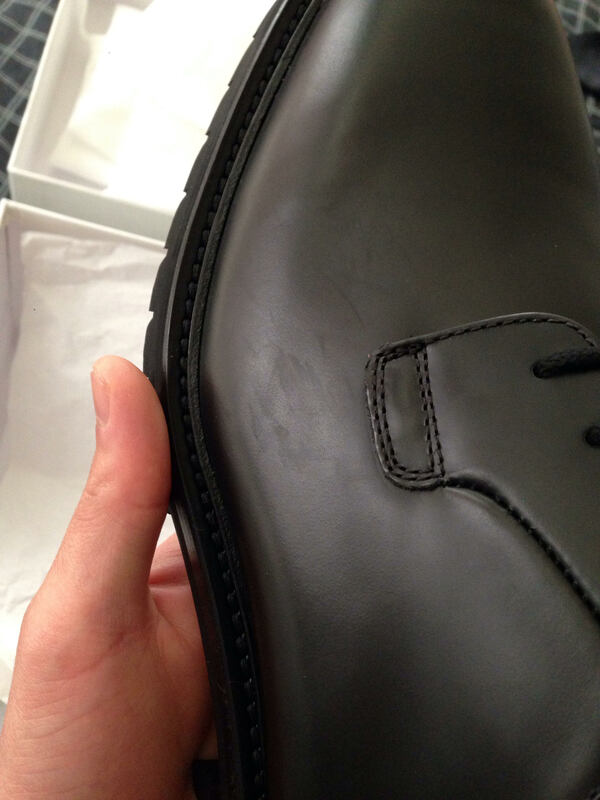 The black pair appears to have more rubber and pointier toe box, stitching in that area is also different. Hope I didn’t pick up a fake pair from someone returning one! How many pairs are too many?? I do like them. They are more resistant to scuffs but downside is they can stain easily and harder to remove. There is no difference in feel when worn though. Those suede achilles look REALLY good. How versatile are they? I've been meaning to pick up the white bball but there are so many killer deals on the suede achilles. Can you post side profile pics of the heel and toe box of those mids? I remember reading there is a clear difference in the shape of the heel and toebox with fakes.